Energy Resources of Australia (ERA) has lifted the rehabilitation cost for its Ranger uranium project in the Northern Territory after completing its closure feasibility study. The closure is now expected to cost Rio Tinto-owned ERA $830 million (or $896 million before discounts), up from the December estimate of $808 million that was based on preliminary findings from the feasibility study. 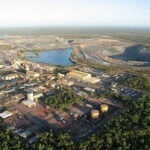 Ranger, located at the top end of the Northern Territory in the Aboriginal-owned Kakadu National Park, is one of Australia’s longest running uranium mines, having opened in 1980. The company plans to cease operations by 2021 and fully rehabilitate the project area by January 2026. ERA has ambitious plans for the rehabilitation so that the mine site can blend with the surrounding environment of Kakadu. The rehabilitation provision for the project has increased before — initial costs by the end of 2017 were $526 million, but this increased to the current cost of $830 million by the end of December 2018. ERA’s rehabilitation cost increase, combined with a $90 million impairment charge on an undeveloped property, has significantly affected its 2018 full-year results. The company posted negative cash flow of $76 million from its operations in 2018, down $84 million from the $8 million in positive cash flow generated in 2017. ERA’s full year report stated that the company was working with Rio Tinto towards a funding solution, and that it would continue to sell uranium from Ranger’s stockpiles. 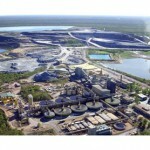 The company’s 2019 production estimate stands at 1400–1800 tonnes. ERA also recorded a net loss after tax of $435 million in 2018 compared to $44 million in 2017, which was also driven primarily by the rehabilitation cost increase. The company’s cash resources in the same time period stood at $313 million in cash in the bank and $75 million in a government trust fund, with no debt.